Scott and Mark Kelly, astronaut twins. Kelly himself tweeted the story with the joke, “I just learned about it in this article. This could be good news! I no longer have to call @ShuttleCDRKelly my identical twin brother anymore,” referring to his twin, astronaut Mark Kelly. CNN picked up this story, and now news outlets across the country have since claimed that 7 percent of Kelly’s DNA changed in space. Except if 7 percent of Scott Kelly’s DNA actually changed, he would be a completely different species. Humans and chimps, for example, share 96 percent of the same DNA, a 4 percent difference. What really happened is that 7 percent of the way Kelly’s DNA is expressed changed after space travel, as Daniela Bezdan, research director of the Mason Laboratory of Integrative Genomics at Weill Cornell Medicine, explained in a tweet and confirmed in an email to Gizmodo. This is further confirmed in an expanded statement from Chris Mason, who writes that, while there were some mutations in both twins’ DNA after spaceflight, “although 93% of genes’ expression, returned to normal postflight, a subset of several hundred ‘space genes’ were still disrupted after return to Earth,” emphasis mine. This kind of change is what’s known as epigenetic, and it is something very different. Space might affect methylation, for example—the act by which chemistry flips DNA sequences on and off, making them readable or unreadable by the rest of the cell. It’s as if DNA were an encyclopedia, with some sentences covered with black tape, making them unreadable. The trip to space could have switched some of the tape around—but the words are exactly the same. 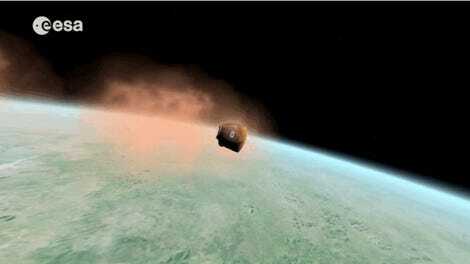 None of the principal investigators of the NASA twin study would comment on this story’s science, noting that they plan to meet later today in order to decide on the best strategy to set the record straight. Bezdan told Gizmodo that she believed Mason would be on CNN tonight to discuss the preliminary results. The related papers will be published later this year. So, no. Scott Kelly’s DNA is almost entirely same. But the way it’s expressed may be different. The change related to only 7 percent of the gene expression that changed during spaceflight that had not returned to preflight after six months on Earth. This change of gene expression is very minimal. We are at the beginning of our understanding of how space flight affects the molecular level of the human body. 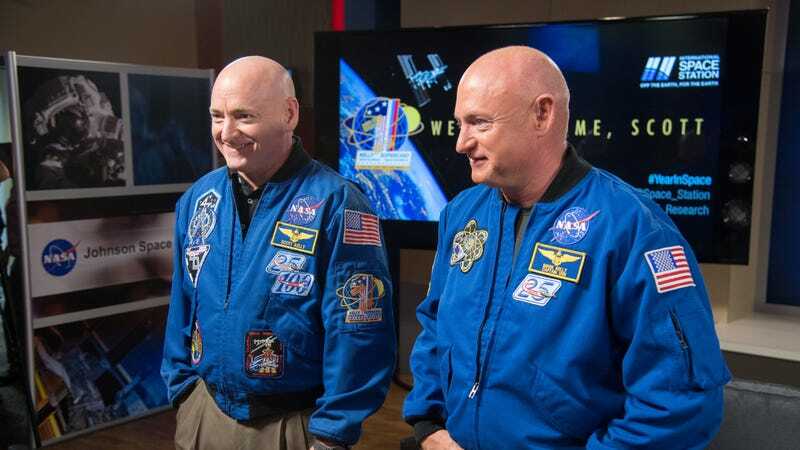 NASA and the other researchers collaborating on these studies expect to announce more comprehensive results on the twins studies this summer. Kristen V. Brown assisted with this story’s reporting.